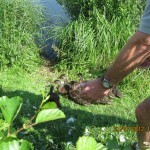 On the 21st July 2012 eight mallard fledglings were released into the marina. 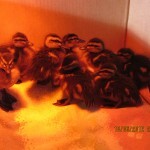 They had been rescued as small ducklings when they were only about two days old. Their mother had been killed when trying to cross them over the busy A52 near Brailsford between Derby and Ashbourne. 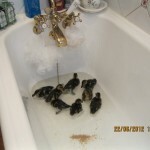 There were nine ducklings that scattered and after carefully rounding them up, the RSPCA asked Mike and Caroline Berresford to look after them until they were big enough to be released. Mike is licenced to handle wild animals and is often asked to care for rescued birds and mammals. However, he was going away on holiday so he drafted in friends Ivor and Julie Thomas who have a boat at the marina. 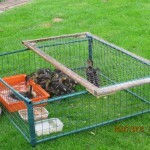 They nurtured the ducklings until they were ready for release just over 4 weeks later. 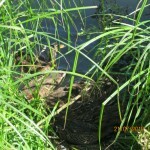 Unfortunately one of the ducklings didn’t make it when they were small so eight were released with permission from Mercia Marina. 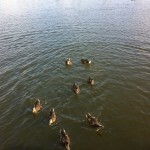 The young mallards have now settled into Mercia Marina and are still swimming around as a group which is usual for ducks their age. 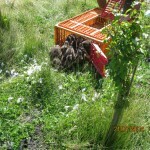 Keep a look out for eight young mallards without an adult and they could well be the group released.